‘Classic Man’ crooner Jidenna says he took classes in the U.S to improve his Ibo. 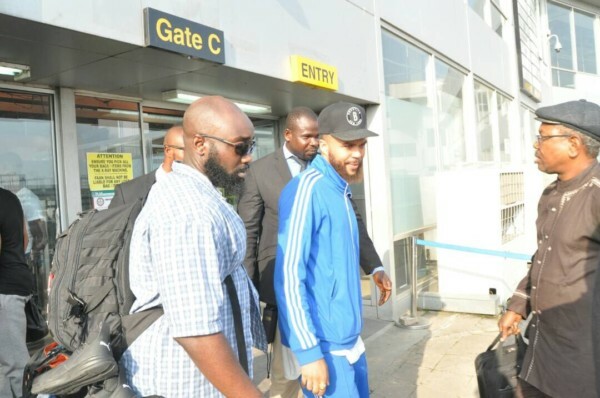 Jidenna (Jidenna Theodore Mobisson), arrived Lagos on the 26th of October ahead of his performances in the country. He is billed to perform at the “Live Your Music” parties at the the Transcorp Hilton in Abuja on the 27th of October, and then on the 28th at Eko Atlantic Lagos. Jidenna whilst speaking to journalist at Heineken Live Your Music press briefing in Lagos, disclosed that he really wants to be fluent in Ibo. “I speak Igbo a little but not the way I wish. I actually took a class when I was in the US to speak more fluently and Aunty Ifeoma, God bless her, was just excited that we were there and she went so slow that at the end of the semester, we didn’t get anywhere,” he said. Whilst his failure to speak Ibo is not unusual for an individual who has spent most of his life outside Nigeria, his drive to learn the language is seen as good by many. Speaking on his musical influences, the artist said “My foundation was in hip-hop but influenced by other sounds. “When I was growing up in Nigeria, Bob Marley was like the biggest god so him and Fela were my biggest heroes when I was a kid”. “I stir all that together and try to make music but I don’t think it has all that at the same time but now I have figured out the formula”. He is also a big fan of contemporary artists as he listens to Tiwa Savage, Wizkid, Sarkodie and Tekno.